KidStart Magazine > Family Life > Holidays & days out > Family Holidays: Hotel or Self-catering? With the Easter holidays just around the corner, some of you lucky KidStarters will be going on a family break either in the UK or <jealous face> further afield to sunnier climbs. If you are going away, have you gone for an all-inclusive hotel deal or a self-catering option? There are pros and cons to both. Here are some things to think about if you’re still deciding: All inclusive hotel deals can be a great option if you want a break from cooking, cleaning and domesticity, but there can be hidden extras so read the details of the deal carefully. Self-catering options mean that you have complete flexibility around meals and food which is especially useful if you have a fussy toddler, a weaning baby or a family member with food allergies. The self-catering option means that food shopping will have to be done making it more likely that you will need a car. Even the best hotel deal can work out as expensive unless your meals are included in the original price. 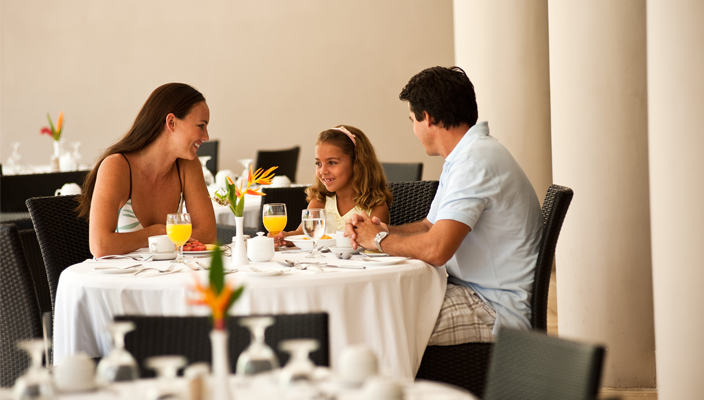 Hotels generally make a big mark-up on food and drink so be aware if your meals are not included. Some hotels will offer free kids meals, so look out for these offers. Self-catering is lovely if your family prefer a homely setting where nibbles, snacks and drinks can be accessed at all times of night and day. Bottles of milk and midnight feasts can be hard to come by in a hotel. All inclusive hotel packages often include kid’s clubs, babysitters and other entertainment making them a great option if you need a real break from the routine and have teenagers as well as little ones. Self-catering is a good choice if you want to holiday with other families; rented villas around shared pools for example, are a fabulous choice for families with children of similar ages. You can potentially share cooking and babysitting duties with other families. What else? Which option do you prefer?